Appointed by Optimus Primal for northern polar sector reconnaissance. Roams the frozen tundra in animal form, but quickly converts to robot mode for battle, removing its titanium tail and converting it to a powerful quasar cannon to vaporize Predacons. Powerful and considered fearless, Tigatron is also equipped with a toxic fluid blaster that stops enemies cold, rendering their bodies useless! 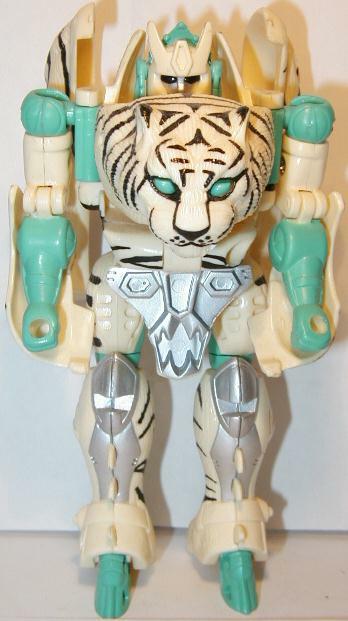 Please note, Tigatron's spark was used to help create Tigerhawk (1999). Please see the page for Tigerhawk for all iterations of that character.